Chancellor’s Note: This is part of the SMUG beautification project, cleaning out some of the underbrush of content originally published at the “page” level but that needs to be demoted. This content was first published on October 22, 2006. Since then, Google bought Feedburner. But Feedburner is still a great way to add functionality to the RSS feeds from your blog. Thanks to Shel Holtz for his advice on how to incorporate “Digg This” and “Add to Del.icio.us” links/badges into blog posts, using FeedFlare, a free service that is available through Feedburner, another free service. That’s also where I got the badges for My Yahoo, Google Reader, and others that you see at right. Shel explained that Feedburner adapts and enhances your site’s existing RSS feed and provides great reporting on subscriptions and click-throughs. Feedburner is definitely still a service worth exploring. 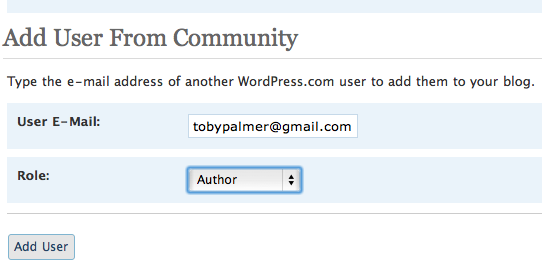 I am currently using wordpress.org for a few blogs. I am setting up for some doctors and another blog for another pilot program … so doctors can learn from each other…I am wanting to have the similar option that you have for subscribing, that is via e-mail. How do I go about doing this? I recommend that you use Feedburner to replace your blog’s RSS feed with one that gives you more features, particularly better tracking. Feedburner is free, and among its built-in benefits is the ability to let your readers subscribe by email. Here’s how you can add a subscription form to a sidebar widget on your blog, assuming you have set up a Feedburner account and “burned” your feed. Note: This post is part of the Podcasting curriculum for Social Media University, Global. It doesn’t give you feed statistics, so you don’t know how many people are subscribing. That’s fine if you are doing a personal podcast just for fun, but if you’re doing this in a work environment your employer will likely expect better statistics so you can determine whether the podcast is worthwhile. Cutting and pasting is a little clunky for your users. They have to know how to subscribe manually in iTunes, and it would be a lot better if there was a nice interface to guide them through the process. Go to Feedburner and set up an account. You will be able to use this to burn your RSS feeds for your WordPress.com blog as well (to be described in a future post in the Blogging curriculum), but it all starts from having a Feedburner account (as Toby Palmer now does). After you’ve learned how to do a personal podcast, you’ll be ready and confident in your abilities to launch one for your business or non-profit organization. You’ll probably want to spend a little money on better recording equipment, and at that point paying the $20 to be able to podcast from your own blog will be well worth it. But our goal at SMUG is to let you experiment with all of these tools without spending even a penny of your own money, only investing your time in the on-line education process. So please take advantage of the opportunity and start your own podcast today.